Наш хорватский студент Беким провёл налёт часов на нашей базе в Майами. Беким провёл в Майами немногим более месяца и рекомендует всем студентам использовать такой шанс : "Это огромный опыт и отличная тренировка перед началом карьеры в авиалиниях." Полную статью о тренинге Бекима в Майами можно почитать ЗДЕСЬ. Для получения более подробной информации об програмах подготовки Flying Academy в Майами свяжитесь с нашими консультантами. Они предоставят информацию о налёте часов (Time Building), получении лицензии частного пилота с нуля в Европе и Америке, программе 0-CPL и других учебных курсах. My name is Diego, I am 21 years old and I completed my 0-ATPL(A) training in Flying Academy, Brno, Czech Republic in September 2015. I applied to Ryanair a week after I finished my MCC and got called for the interview for December 2nd. The interview begins from the moment you walk into the building, not from when the assessment starts. Make sure you are well dressed and act appropriately throughout the day, even after the actual interview is over! The assessment begins with Briefing at 09:15 AM, which is given by one of the interviewers and during which you are paired up with your Simulator partner. The interviewer tells you what will happen throughout the assessment day and what will be expected of you. Pay attention to everything that is being said in the briefing! The assessor gave us some tips for the assessment and told us to be calm and not to stress too much about it. This article is written as a simple guideline of what to do and what to expect when faced with the moment that you have been waiting for, the job interview, sometimes known as an assessment day. It is written by a former student of Flying Academy Vlad from Romania. He did all his way from a zero level of knowledge about aviation to the airbus cockpit with Flying Academy. He got accepted into Ryanair Cadet Program. Continue reading for some great advice to follow during the job interview. "From here on it’s only up to you," he says. Let's talk about what most companies are looking for, especially from you as a low hour pilot. The only time a company will want to hire a pilot with low hours is because of one reason: they want to see your abilities and determine if you can successfully conduct further training with them. As our assessor told us during the initial briefing: "If for some reason you are not successful after today, please take this as a benefit because if I have doubts about you today you will struggle during the Type Rating." So, let’s start from the beginning. How’s the assessment day structured? ПРОХОЖДЕНИЕ ЦВЛЭК (центральная врачебно-лётная медицинская комиссия). Один из самых актуальных вопросов среди русских студентов это как успешно валидировать лицензию и пройти Центрпльную Врачебно-Лётную медицинскую комиссию (ЦВЛЭК) после получения CPL(A), выданного по стандарту EASA. Своим опытом в этом вопросе поделиться наш студент, выпускник курса 0-ATPL(A) 2015 года- Филипп Максимов. Сегодня мы подробно остановимся на прохождении медицинской комиссии. О том как валидировать лицензию - читайте в следующей статье. У многих абитуриентов российских лётных заведений возникали проблемы с прохождением российской медицинской комиссии, конкретнее у тех, кто имеет военный билет с категориями: Б, В, С или Д. Однако, согласно приказу Минтранса России от 28.11.2014г. №325 "О внесении изменений в приказ Министерства транспорта Российской Федерации от 22 апреля 2002 г. №50" в пункте 12 подпункт 2, если у Вас есть лицензия коммерческого или транспортного пилота, Вы имеете право предъявлять удостоверение личности или военный билет на Ваш выбор для прохождения медицинского освидетельствования по 2й графе. This article is written as simple suggestion of what to do and what not to do when you are faced with the moment that you have been waiting for, the job interview or sometimes known as an assessment day. As the name implies, it’s an assessment and that means that you are there to be assessed - If you look up this word in a dictionary it will read: “To determine the value, significance, or extent of; appraise.” And this is where your part comes into play, writes Flying Academy student Matteus Kostrzewski who recently went to Ryanair interview and got accepted in cadet program. 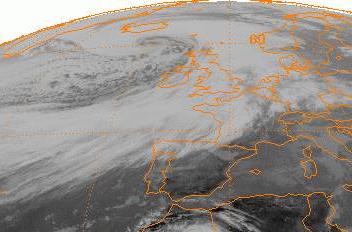 Why is the weather bomb so dangerous? Difficult to predict and easy to confuse with other weather hazards, Explosive Cyclogenesis or, as often called, “The weather bomb”, constitutes one of the most interesting meteorological phenomena. Its basic scientific principle is a rapid fall in the central pressure of a depression. Due to the collision between warm Sub-tropical air and cold Artic air a massive release of energy that is converted into motion (wind) and temperature contrast is created which drives the jet stream. The bigger the contrast the faster the jet stream, creating a vacuum which causes a pressure drop and pressure gradient to increase, therefore wind to gain speed and storms to form. In order to meet the criteria of an Explosive Cyclogenesis the pressure drop must be at least 24 mb in 24 hours. Scientific Meteorological researches show the upper trend of weather bombs in the Northern Hemisphere over the last years. Most of them agree that there is another dangerous situation added to the increasing trend which is associated with a rapid intercontinental air pollution transport. Flying Academy – the flight training organization managed by airline pilots – has started 2 months ago to equip its trainees with iPads. The Academy took the lead to revolutionize the cockpit and pilot training, realizing the vision of paperless flying and becoming the first Czech FTO to fly with iPad EFBs. The process will make learning to fly much easier, more efficient and accurate, useful for private pilots and important for future commercial pilots. 3. Easy to use – intuitive menu and apps.